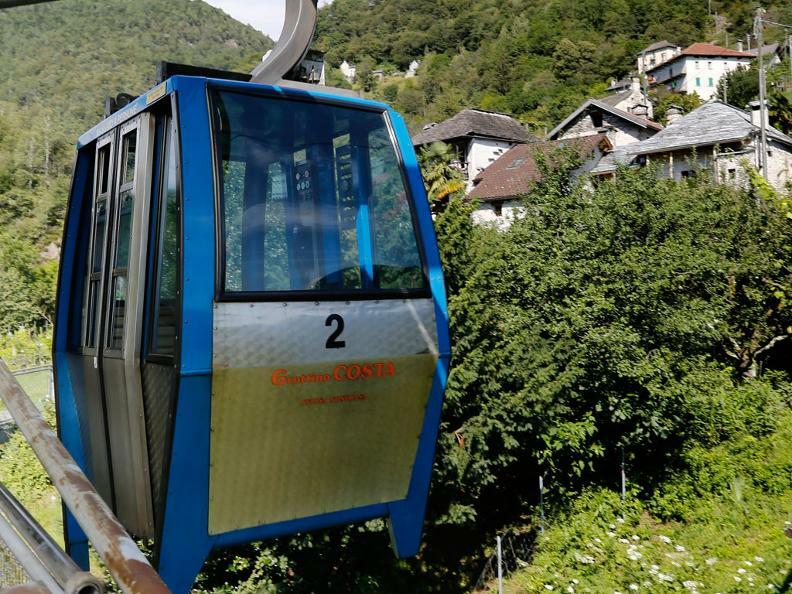 An exceptional cable car ride awaits you in Intragna, the village with the highest bell tower in the canton. The cabin fits a maximum of four people. The first stop is Pila, a characteristic cluster of old houses and renovated ‘rustici’ on a sunny green terrace overlooking Intragna the gate of the Centovalli. A far reaching labyrinth of trails invites to walk and explore the terraced slopes of the former vineyards and the stony stairways and paths that connect the houses. 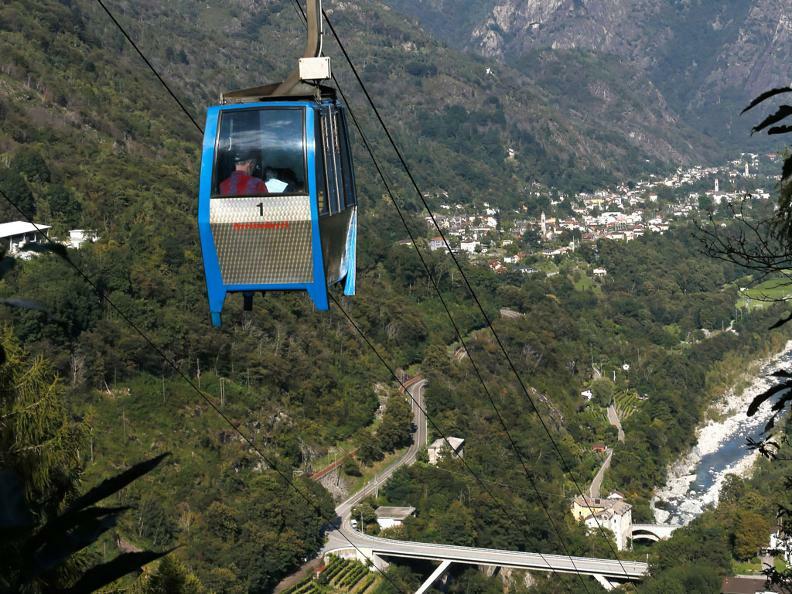 The final stop of the cable car is in Costa (637 m). 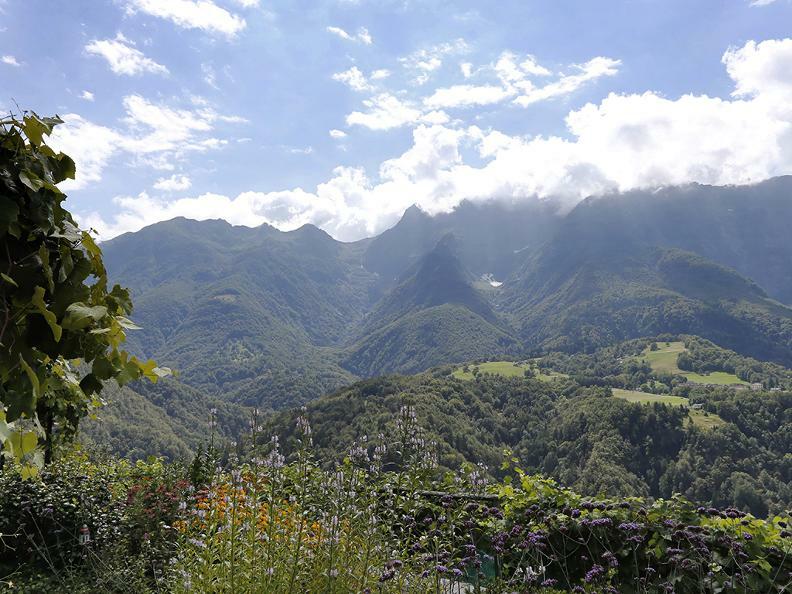 Just beside the station a “Grottino” awaits you, where you can rest being seated at a granite table, eat a local dish and enjoy a panoramic view on the lowlands of the Pedemonte and all the way down to the Lake Maggiore. It is an incomparable place where one wants to return to already when arriving for the first time. The garden and the pavilion suit for grill parties with a view for up to forty people. Costa is a great gate away for a hike to Monte Comino, from where one can return down to the Centovalli to Verdasio with another cable car. 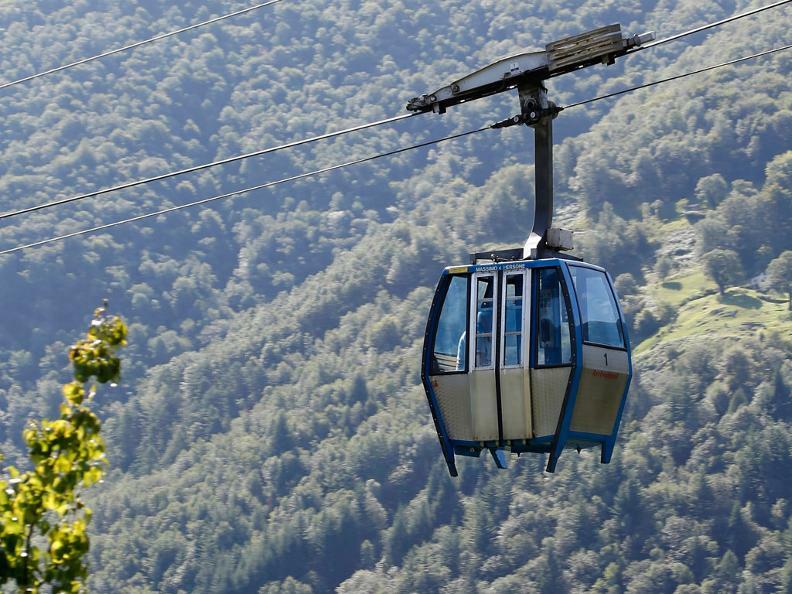 Both cable cars usually run from March until mid-November. 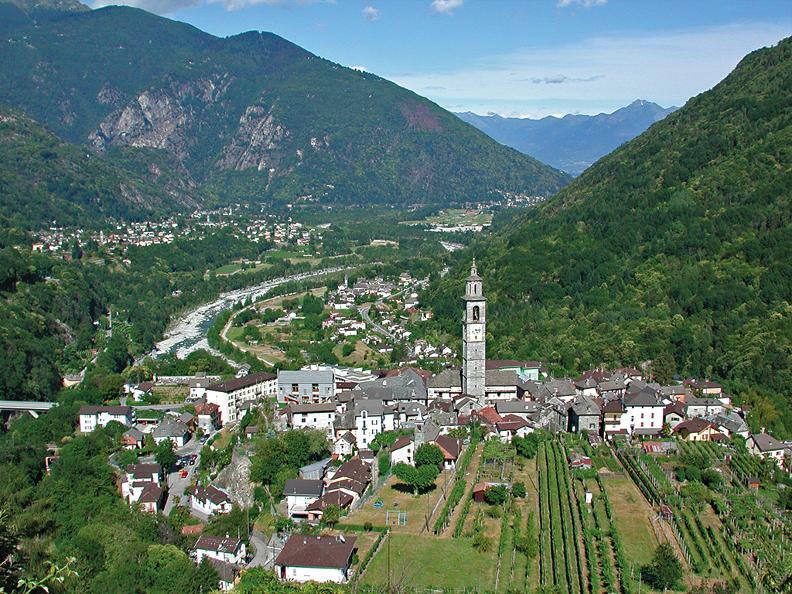 Intragna and Verdasio can be reached with the scenic Centovalli train from Locarno. In Intragna a visit to the local museum and a visit of the bell tower are highly recommended. (*) The cable-car starts every 20 minutes. Closed on the first Wednesday of every month.